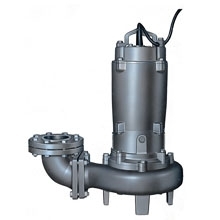 Features: Wet-installed submersible motor, IP68,Class F. With non-clog impeller, doublemechanical seal, built-in leakage and over-heat protection control. Auto setter or non- auto setter installation type. plant, animal & poultry farm waste water treatment system and various industry waste water treatment system.